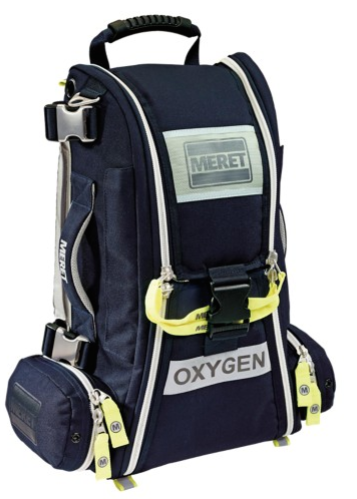 We love the New Meret Recover Pro O2 Response Bag--it's built for the professional and to help you rapidly and proficiently deploy emergency oxygen during critical moments. This bag could be life-saving! It's built from strong materials and has a smart design that allows versatility in your organization design. 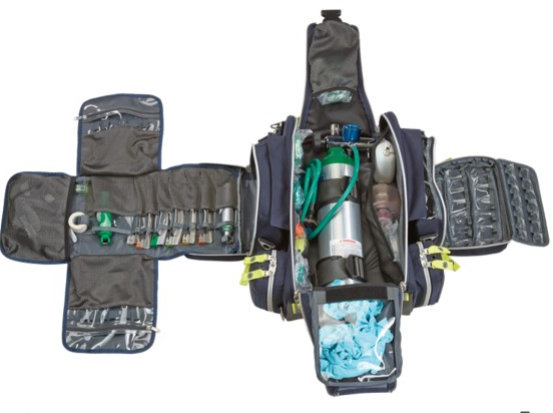 Similar to the old OMNI Pro, the Recover Pro is that foundation for a system of TS2-ready bags that are interchangeable and also allowing you to attach additional TS2-ready modules to the bag's sides. You can use the EZ-Grab pull bars to quickly open the bag to reveal your M9, D or Jumbo D aluminum oxygen cylinder. The internal dual full length mesh pockets can accommodate masks and tubing, while the side panels can support a TS2 ready Deep Stuff pocket or two Stick-It strips. The dual outer zippered pockets offer that additional storage for smaller items. The Recover Pro bag has a hideaway, mountaineering style backpack harness that provides that snug and secure fit. You can walk, run, climb or ascend in it and this backpack system will keep it close to your body and comfortable, including full padded lumbar support. It can all be hidden away in the zippered pocket in the back of the bag. 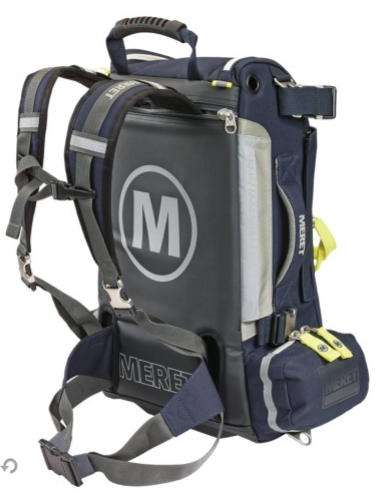 Get your Meret Recover Pro O2 Response Bag, today!